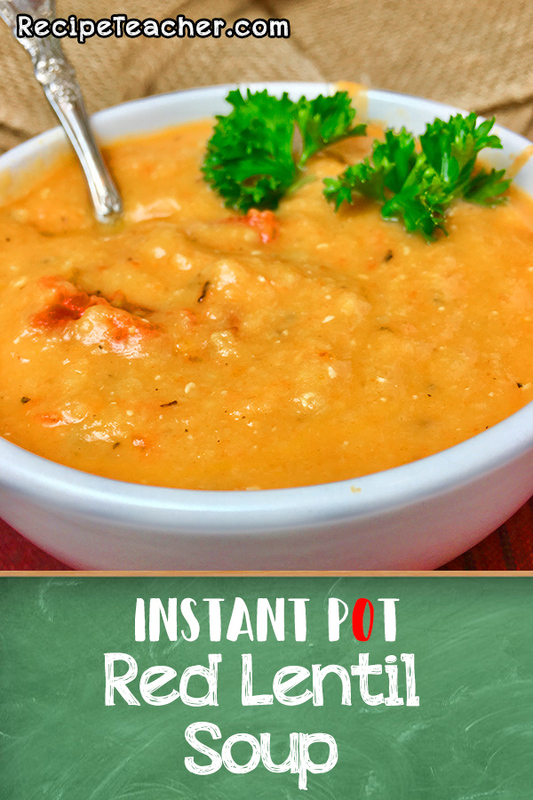 This recipe for Instant Pot Red Lentil Soup makes a delicious, hearty soup in your favorite pressure cooker with simple ingredients and easy prep. It’s full of flavor, protein, fiber and is stick-to-your-ribs good! 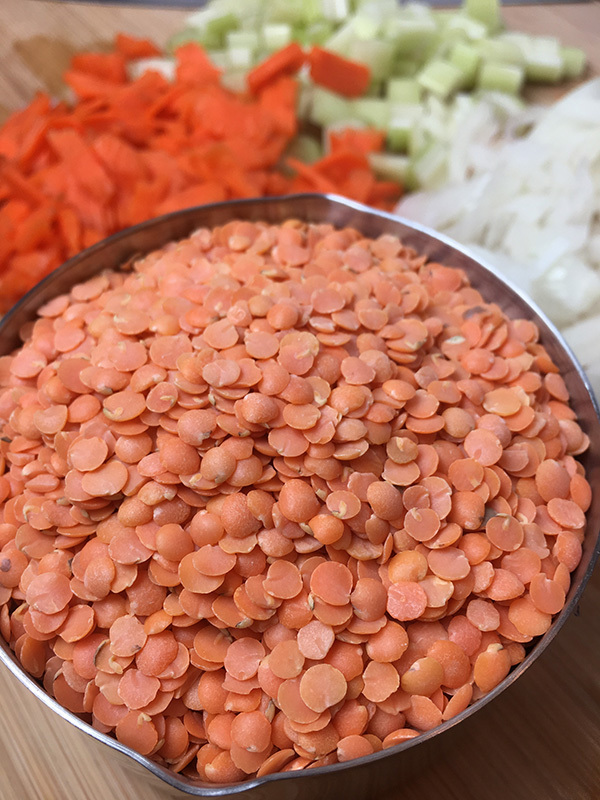 Red Lentils don’t get enough credit in the legume world. They have a wonderful, delicate, slightly sweet flavor and provide a wonderful texture when cooked into a soup. They readily take on the flavors that are added to it, while providing a heartiness all their own. 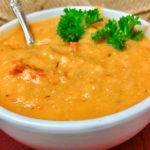 Reminiscent to split pea soup, red lentil soup is perfect for adding other flavors in the red color pallette – especially fire roasted tomatoes. This recipe starts with onion, celery and carrots, when diced and sauteed in a little butter, the flavors come to life with a vibrant aroma that will have everyone asking “what smells so delicious?” After the vegetables are sauteed, we add a can of fire roasted diced tomatoes. 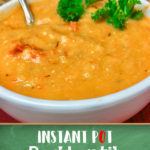 I’m a huge fan of fire roasted tomatoes and they further accentuate the heartiness of this soup with rich, deep flavors. Finally we and the chicken stock, which I prefer over vegetable stock. I find the chicken stock better fills out the flavor profile of all the other ingredients. That said, you can certainly use vegetable stock if you wish. Set Instant Pot to “saute” and add butter. When hot add carrot, celery, onion, pepper and saute until softened – about 5 minutes. Add chicken broth, can of diced tomatoes and split red lentils and stir it all together. Secure lid, set vent to the “sealing” position and pressure cook (manual on some Instant Pots) for 10 minutes. Quick release the pressure. Remove lid and use an immersion for about 20 seconds. Leave some of the soup chunky for the best consistency.